After the success of the InfoGuide Germany 2006/2007 and the popularity of our contributed article on intercultural communication, the publishers at the Delegation of German Industry & Commerce Shanghai have invited us to update our article for inclusion in the latest edition. The InfoGuide Germany 2009/2010 has meanwhile been published. The 226-page booklet is available for download from the publisher's web site and can also be ordered in printed form. The article, just as the entire guide book, is written for the target group of Chinese visitors to Germany as well as those doing business with Germans in China. Since the InfoGuide Germany is published entirely in the Chinese language, our article, though originally written in English, was translated by the publishers into Chinese. 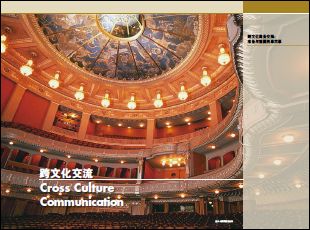 Given that the Chinese and German communication styles are so different, the article introduces the basics of intercultural communication and highlights those issues particularly relevant for the Chinese-German business relationship, looking at how to make the most out of new contacts, providing practical tips for how to adjust to the German business communication style and to avoid unnecessary miscommunication and pitfalls. The purpose of this guide is to provide practical information in the form of a business guide to promote cross-cultural investment synergy. 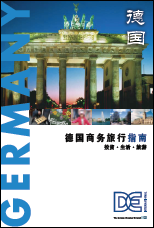 Entirely in Chinese language, this comprehensive book is of interest to all Chinese visitors to Germany as well as those doing business with Germans in China. As a toolkit for business people visiting Germany, the InfoGuide Germany provides top managers, delegations and project managers a wide range of information covering almost every aspect of the country, from the preparation of the trip to the daily life in Germany, from establishing a company to the relevant laws and regulations. The InfoGuide Germany 2009/2010 is available as a book and as a PDF version for download . The Delegations of German Industry & Commerce (AHK) and German Industry & Commerce Co. Ltd. (GIC) belong to the worldwide network of some 120 overseas German Chambers of Commerce, Delegations, Representative Offices and DIHK-Service Companies in 80 countries under the umbrella of the Association of German Chambers of Industry and Commerce (DIHK) in Berlin. The offices and subsidiaries of AHK and GIC in Beijing, Shanghai, Guangzhou and Hong Kong support German companies to establish and extend their activities in China on a bilateral basis. In addition, GIC helps Chinese companies of our host country to develop their business in Germany.